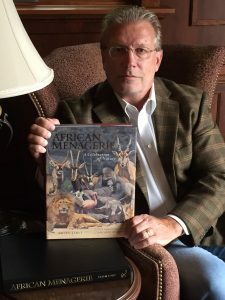 Welcome to Brian Jarvi’s African Menagerie! 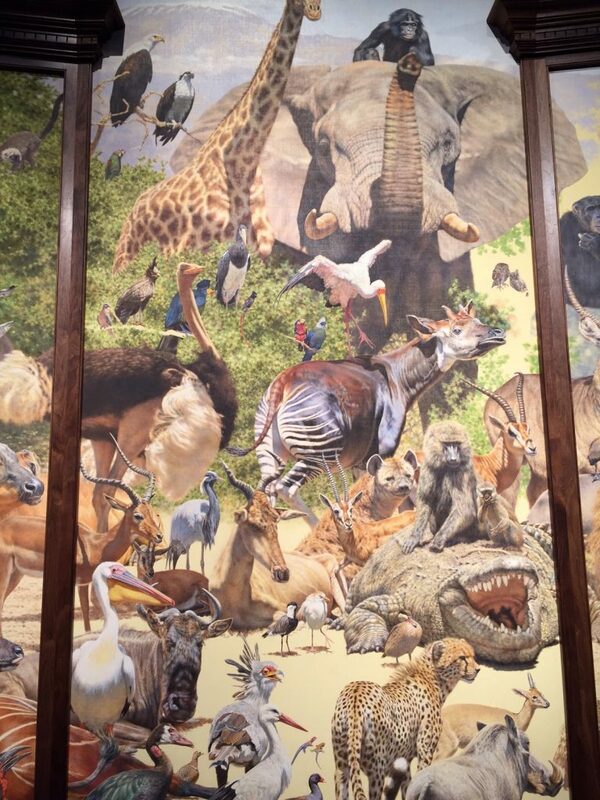 Jarvi’s masterwork, African Menagerie has been praised as a monumental wildlife painting unprecedented in history. Measuring 28 feet across and encompassing 208 different iconic African species, this grand artwork is currently on a nationwide tour that includes museums and other prominent public venues. The painting also is the focal point of a brand new book from international publisher Rizzoli. African Menagerie: A Celebration of Nature offers a dramatic retrospective look at Jarvi’s best work over the last four decades. 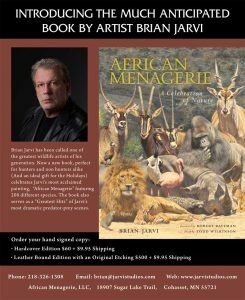 Brian Jarvi’s acclaimed and long-awaited book, African Menagerie: A Celebration of Nature is available in both a regular hardcover edition and a special deluxe collector’s edition that comes with a rare hand-signed etching suitable for framing. 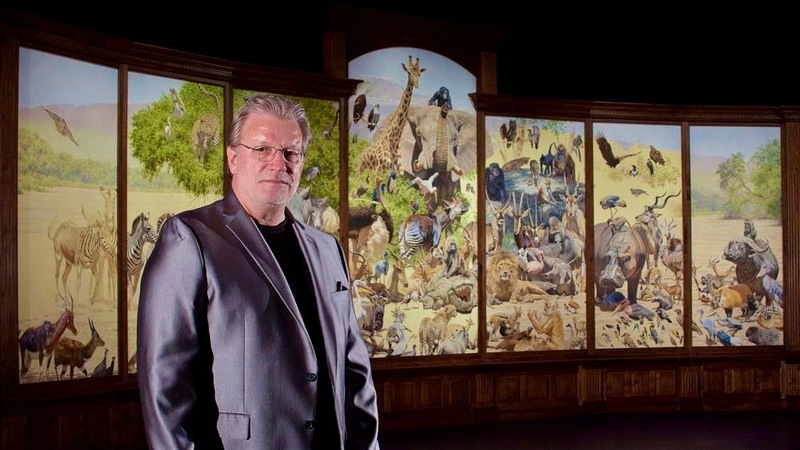 “African Menagerie,” seventeen years in the making, is 28 feet across, set on seven-interlocking surface panels and rises a story and a half tall in the center. an unforgettable, one-of-a-kind piece of fine art?